There is no Sámi Dáiddamusea. Again. There is no duodji. En tom ramme står igjen etter Sámi Dáiddamusea. The fairy tale is over. On Tuesday August 29th, the disassembling of There Is No started at Nordnorsk Kunstmuseum. The process of returning the art borrowed to the fictitious Sámi art museum Sámi Dáiddamusea to its home at RiddoDuottarMuseat begins. Behind us lies a unique mustering of art from all over Sápmi, with works spanning almost a century, in diverse techniques, putting duodji side by side to contemporary video works. What started as an idea of exposing the lack of a permanent Sami art museum became one of Nordnorsk Kunstmuseum's greatest success stories. In collaboration with RiddoDuottarMuseat in Karasjok we created something we thought was exciting and brave, a performance for an entire museum. But it was when the public embraced it the museum became something special. The response was immedeate and overwhelming. 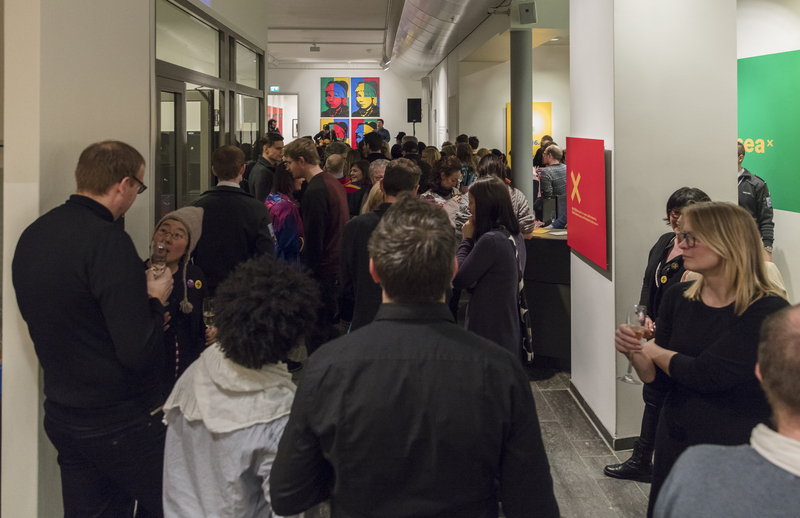 If we include both the performance period as Sámi Dáiddamusea and the more regular exhibition period as There Is No, we had 18.426 visitors to the museum. That's 95 visitors every day. The project was also a big contributing factor to Nordnorsk Kunstmuseum winning Museum Of The Year 2017. We are naturally thrilled to have record numbers, winning awards and getting praise, but we had hoped to create debate and criticism that could spur a bigger discussion. That did not happen. We got one critique in the local paper Nordlys, local news stories from Nordlys, iTromsø and Sagat. Outside of Northern Norway, there's only been a few small mentions. This theme deserves much more attention on national arenas and in national news. Sámi Dáiddamusea was temporary, and now it's gone. We are very happy to have shown what a treasure trove Sámi art is, and how wanted a Sámi art museum is, by the locals, the Sámi community and tourists. It's possible. But the media, government and public outside of Northern Norway to must come forward and participate.